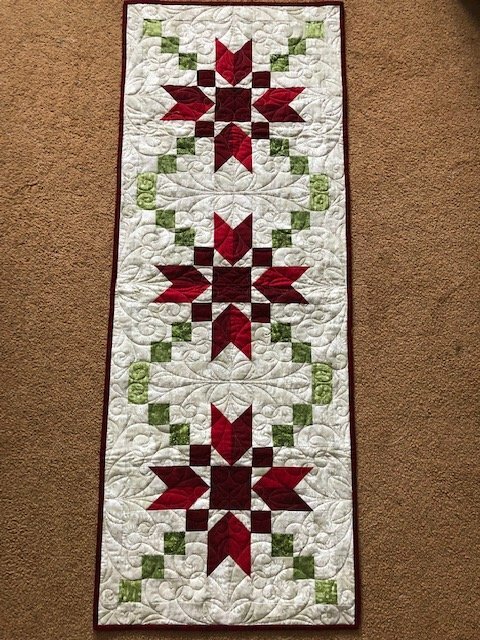 Learn Accurate cutting and piecing to make this modern looking table runner. Also you will learn to machine quilt and attaching binding. Finished Size: 18" X 47"
IT'S WORTH THE DRIVE ! Copyright © 2007-2019 - Sew & Save Centre Ltd.